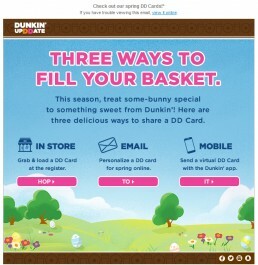 Subject Line: Three great mobile coupon offers for you! 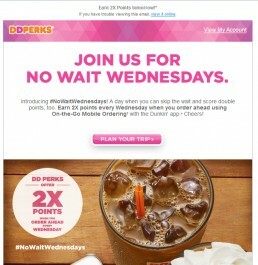 Creative Review: DD Perks introduced a loyalty app and later rolled out mobile payments in it. 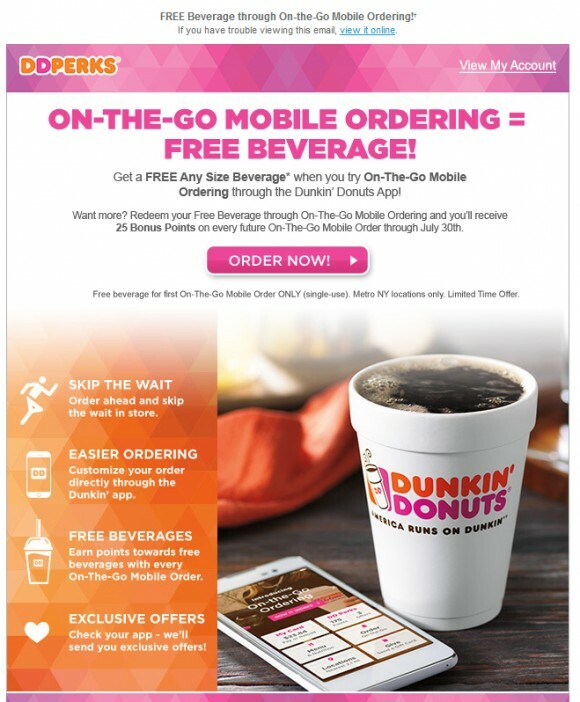 They sent this email with 3 mobile offers to encourage subscribers to download the app. 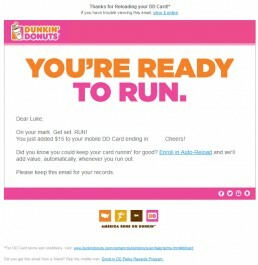 I believe this was segmented those that had not responded to previous app download campaigns. Ironically, this mobile campaign was not response on my phone but was still a nice piece overall. The subject line also featured the clapping hands emoticon, but I could not get it show correctly here.